Mac Startup Disk Full Upgrade Options. Fast and Free diagnosis. 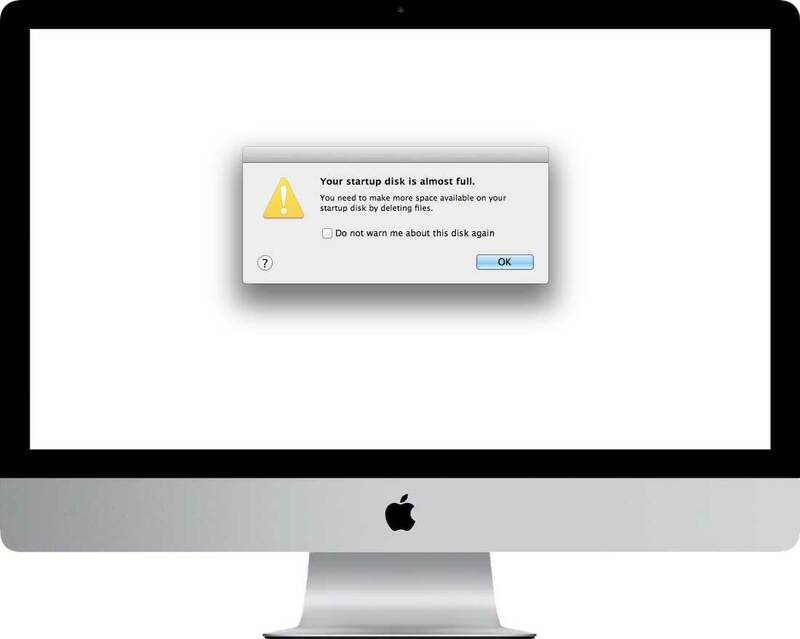 If your computer is telling you your startup disk is almost full like the message above, you need to either throw away files to clear up more space, upgrade to a larger hard drive to store more files, or move data off to an external drive (don’t forget a backup for your archive drive!). We can help you with any of these options! The most popular fix is to install a drive with more capacity into your computer. This allows you to keep all the files that you currently have on your computer and gives you room to add more. The upgrades available to you depend on the model of your computer and the size drive you currently have. If you bring your computer into us for a free diagnosis we can let you know all your options. Below are options we have available for some models (if your model isn’t listed here, feel free to contact us to see what upgrades are available for your computer).